At Oak Creek Whitetail Ranch, we are always looking for new ways to reach out to our friends and people looking to learn more about the ranch. This summer, we have started a new weekly vlog on youtube called, On The Ranch. To this point we have three weeks and also a couple of updates to go along with the main vlogs. They can be found on our website and we will also be posting links on Facebook and LinkedIn. These weekly vlogs will go live at 8 am on Friday mornings. To make sure you don’t miss a single episode, subscribe and click on the bell so you receive notifications each and every time we post a new one. This was an introduction to the ranch and the guys. They talk about the ranch and what goes on during the times the hunters are not here chasing the monster bucks, to get ready for season. 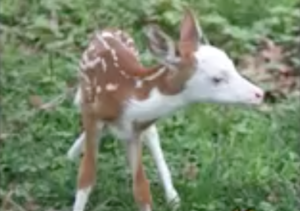 Also you will get to meet the newest member of the Oak Creek family, "Little Miss Kashtin", a piebald fawn. The guys talk about our food plot system on the ranch. From planting soybeans to sunflowers, we show how it is done at Oak Creek. Nick does some discing and Shane does some planting of soybeans in this episode. 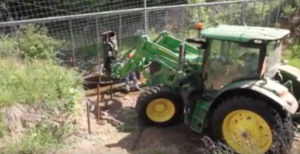 This episode is all about the fencing and the maintenance to keep the miles of fence up and in perfect shape. This is a daily task that the guys take very seriously, as this is the only way to properly manage the whitetail to get the maximum potential, check out this episode also for a few tips on varmint and predator control. If you have any questions about the ranch or would like to see us cover a topic. Let us know by email or comment below and we will talk more about it in an upcoming vlog. We want to hear from you. You can also click here to go to our YouTube channel where you can watch many more videos from the top whitetail deer hunting ranch. While you are there make sure to subscribe and ring the bell so you don't miss a single video from Oak Creek. Do you guys do youth hunts for kids and if you do how much would it cost. We do love to have youths hunt with us at Oak Creek. Would you like a brochure that tells all about the ranch and the hunts we offer? Just send us your address and I will get one right out to you.